I took a break from Holiday stamping the other day to prepare a homemade card for our friends' housewarming party. 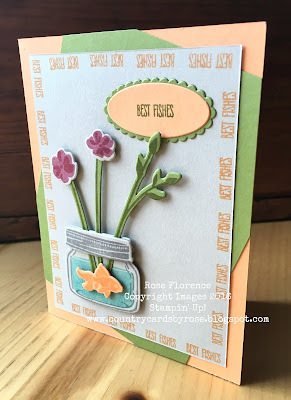 The Jar of Love bundle caught my eye because of the cute "Best Fishes" sentiment. I've been waiting for the perfect opportunity to use this set, and I finally found it! 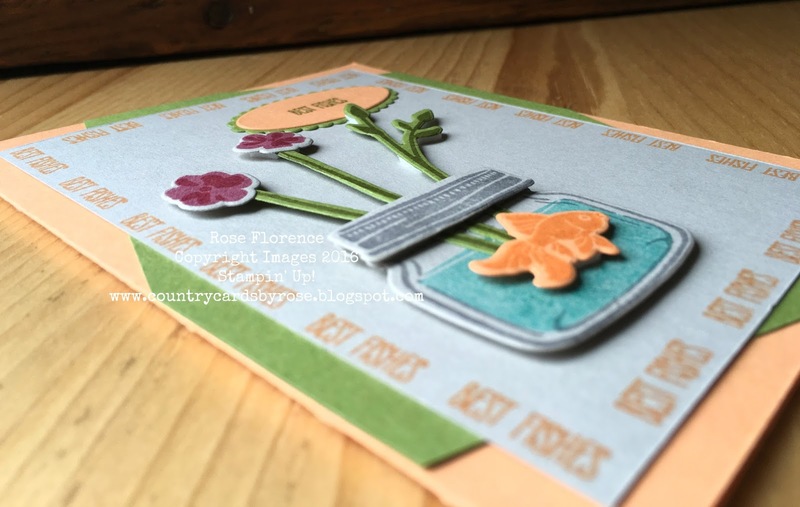 My color inspirations for this card were Old Olive and Peekaboo Peach. I think these colors are just so sharp together! The base for my images on the card front is in Sahara Sand. Isn't this card just adorable?